Technology class complements all areas of student learning. Students are taught how to best use technology to research various topics related to the core subjects. 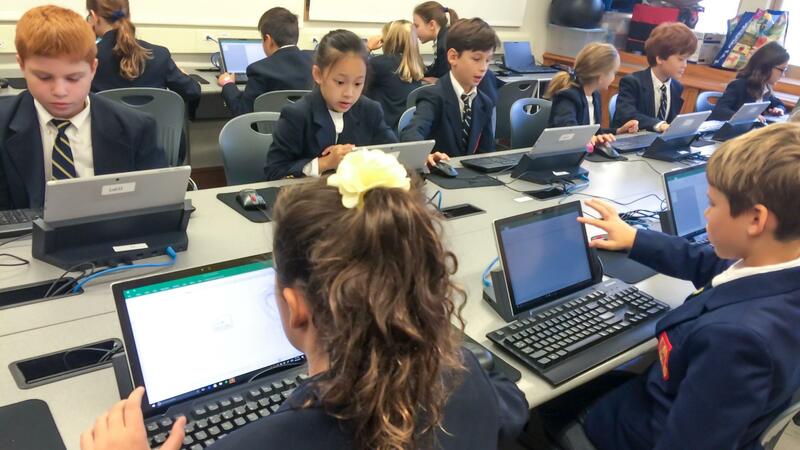 In collaboration with CodeSpeak Labs, the sixth through eighth grade students enjoy an additional 45 minutes per week in Technology class studying the application and implementation of coding. Technology in student learning is not limited to the lab. The use of iPads is incorporated into the daily lessons of all grade levels.